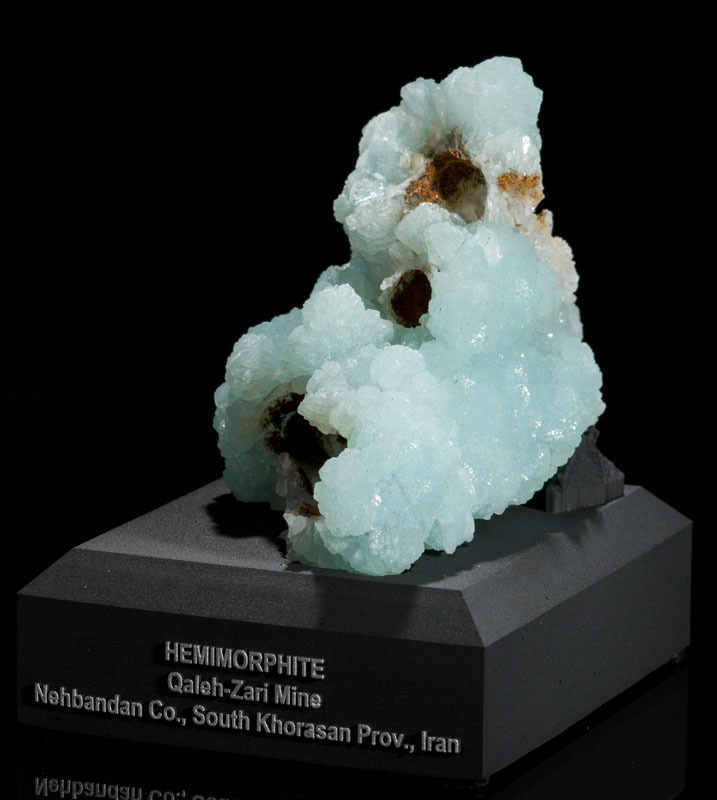 PLEASE NOTE THAT DUE TO POLITICAL CIRCUMSTANCES WE CANNOT SHIP THIS ITEM OUTSIDE OF THE U.S.A. 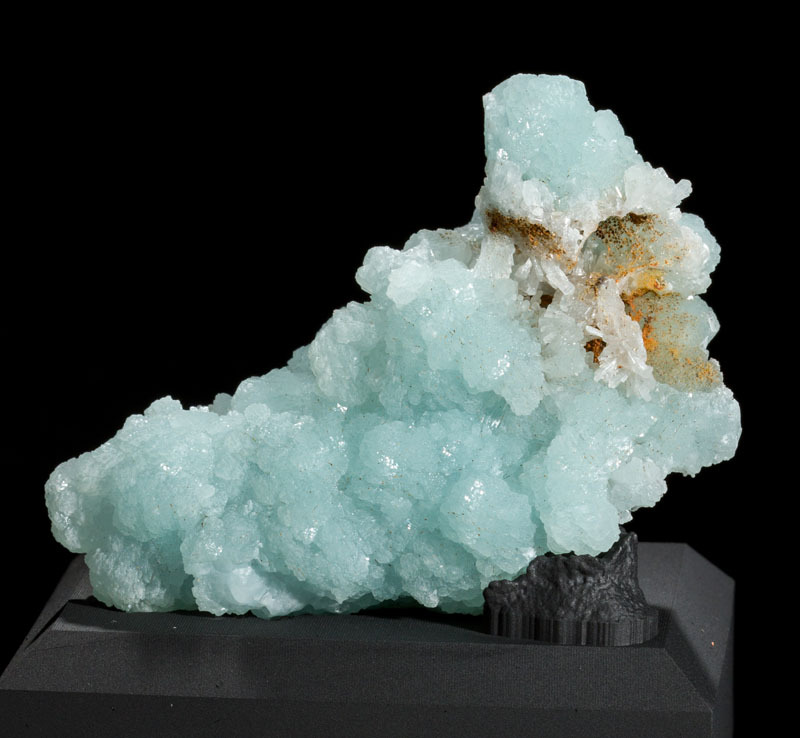 This is a very old, classic, specimen probably dating from the 1950's. 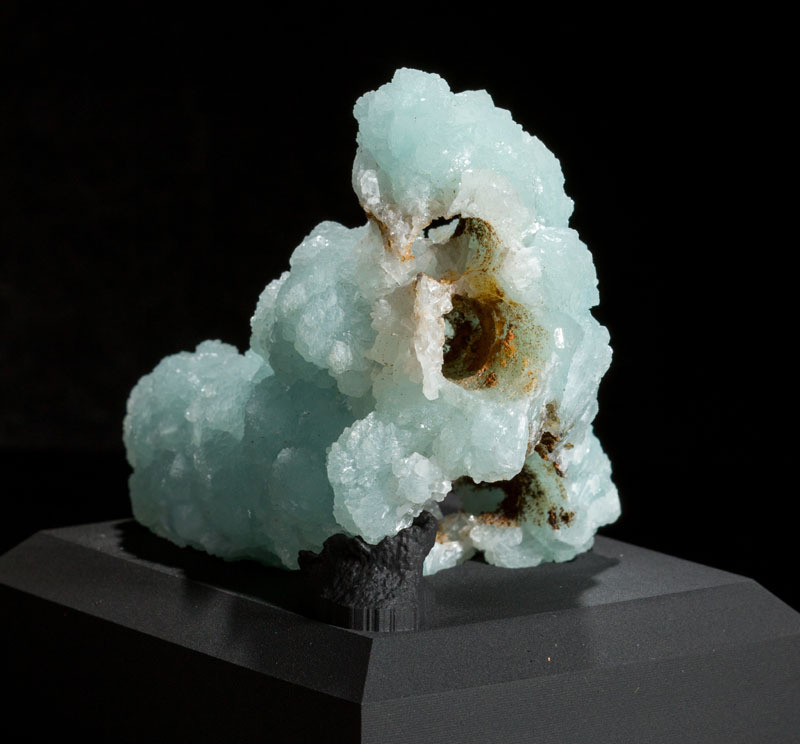 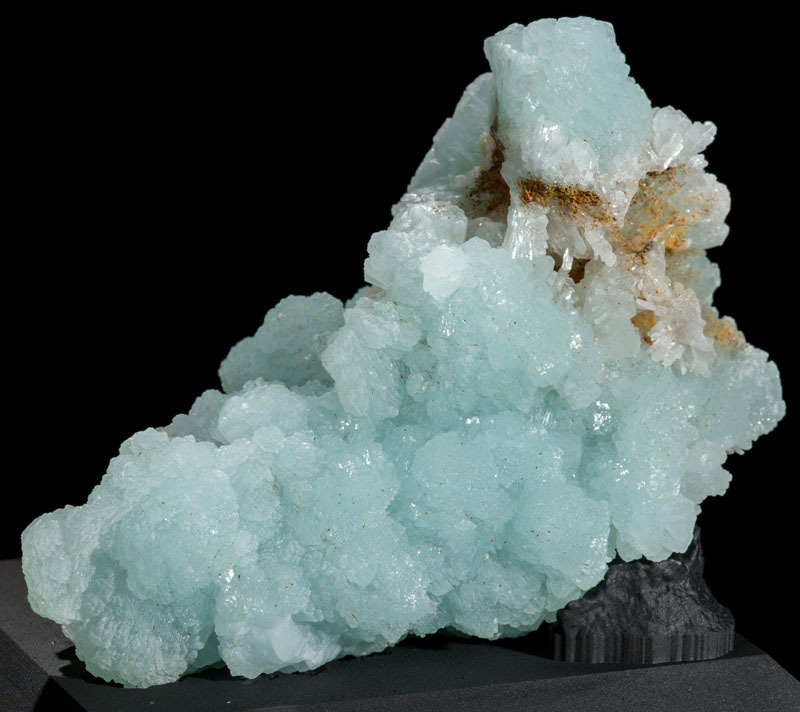 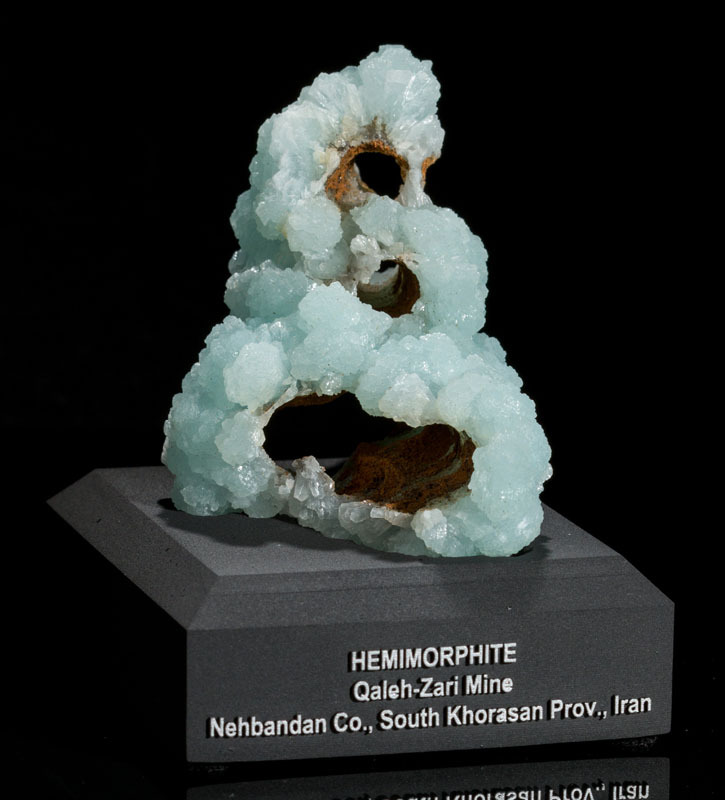 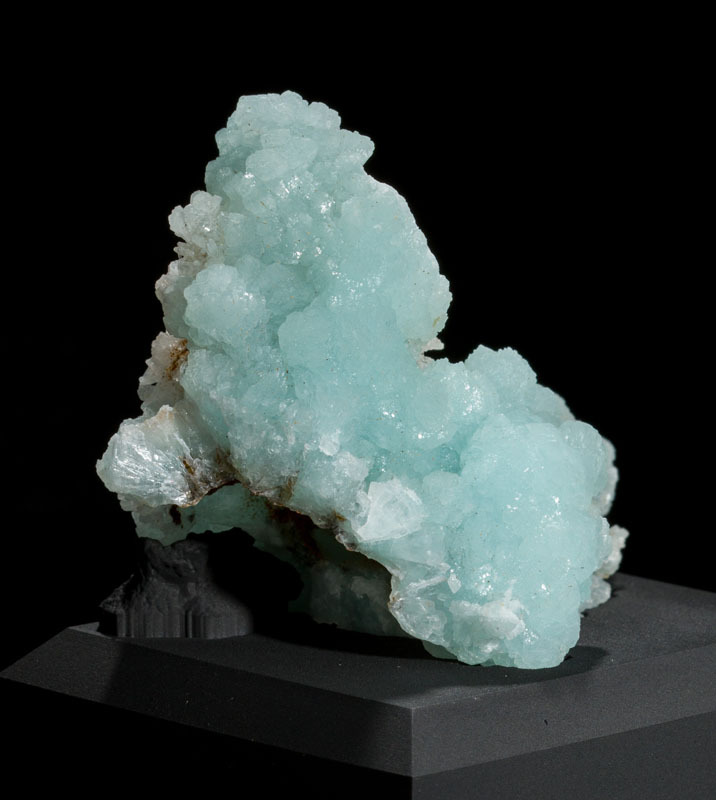 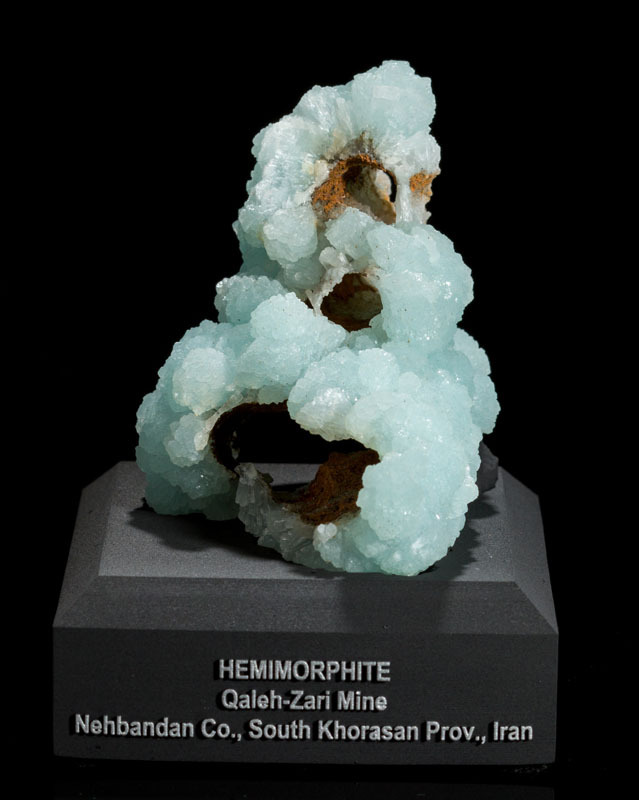 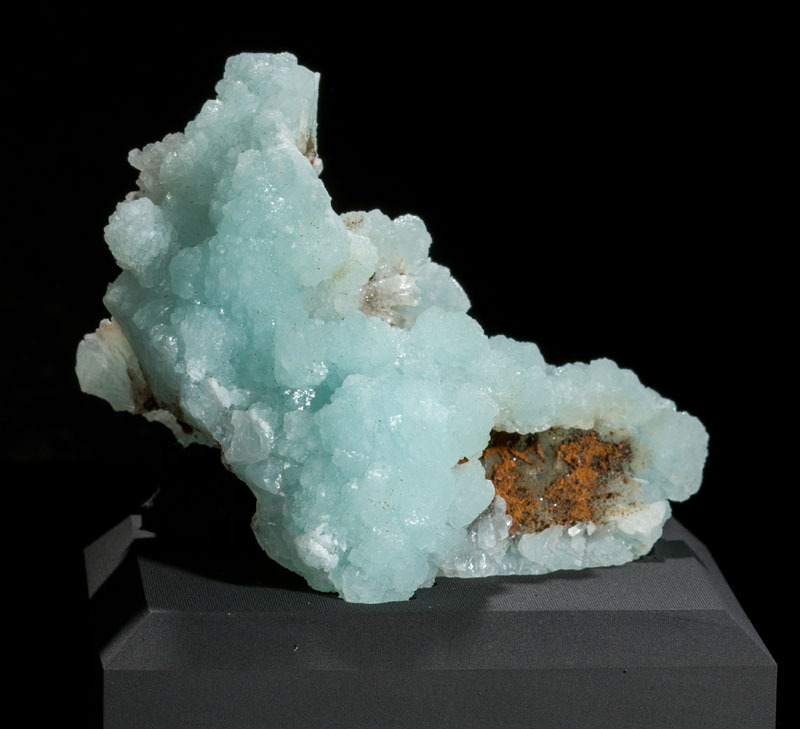 It's a hemimorphite cast with 3 holes going through it where some other mineral once existed but has dissolved away. 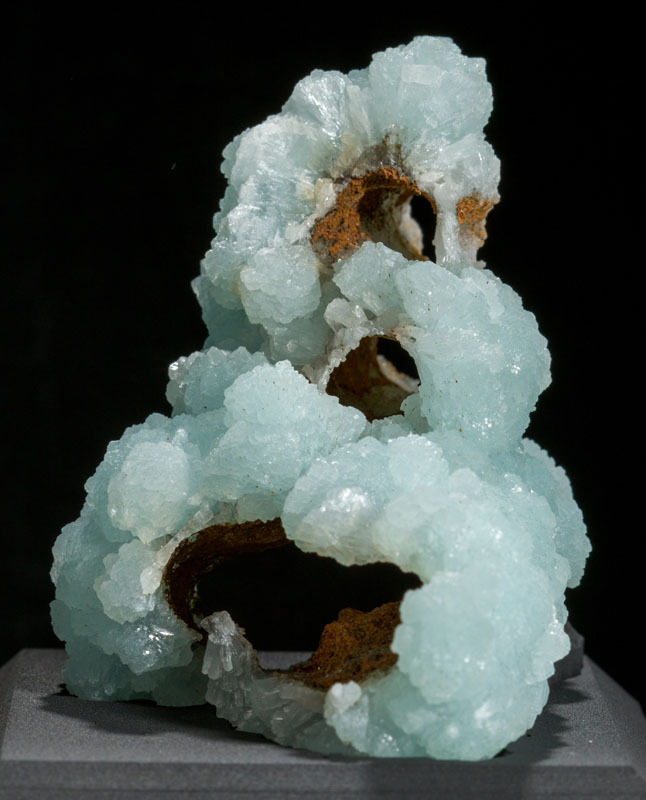 It appears the previous mineral that filled the cast was some sort of stalactite-shaped formation. 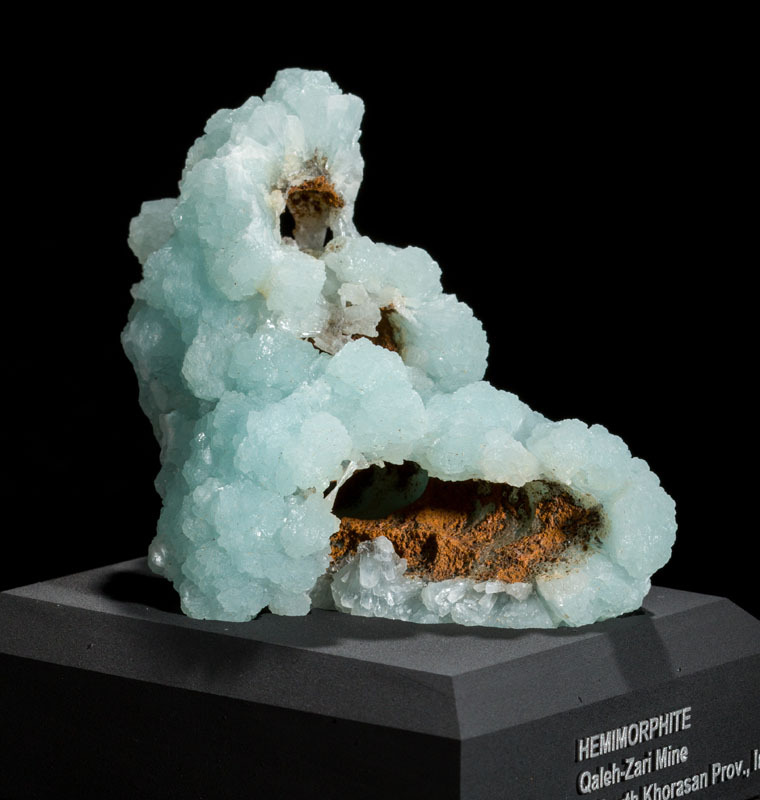 The orange-brown substance lining the inner wall of the cast is limonite. 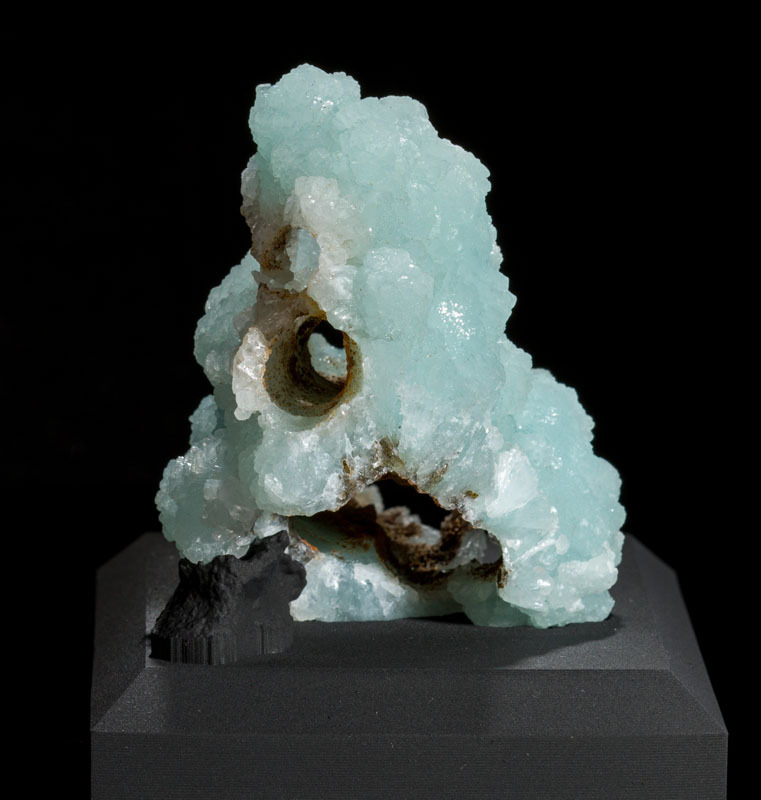 A very unique and unusual specimen!